There is nothing as smooth as silk, and The Pashmina Store is proud to bring you the finest quality Boysenberry pashmina shawls made with 70% top-quality pashmina wool and 30% luxurious silk. The touch of silk gives the pashmina an exceptional feel and an wonderful sheen. 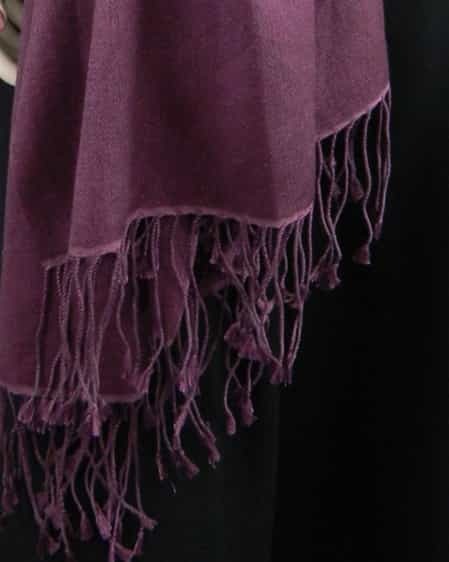 This beautiful boysenberry shawl is 36" x 80", plus 3" tassels on both ends. It is traditionally crafted by hand to give you a fabulous fashionable accessory. I like the color too. Thank you. 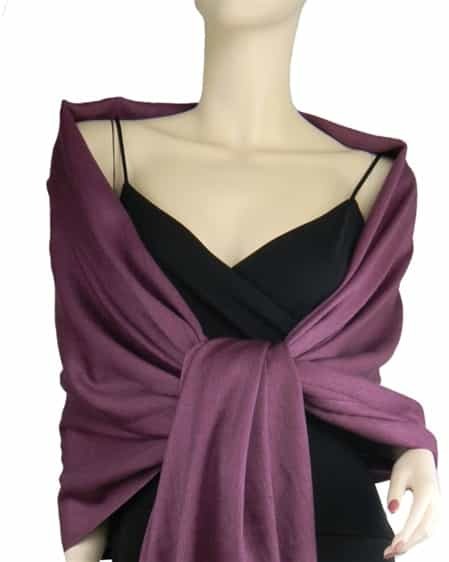 I received my new Boysenberry Pashmina/Silk shawl!! I love the soft color and the even softer feel. Can't wait to wear it everywhere. Thanks so much.